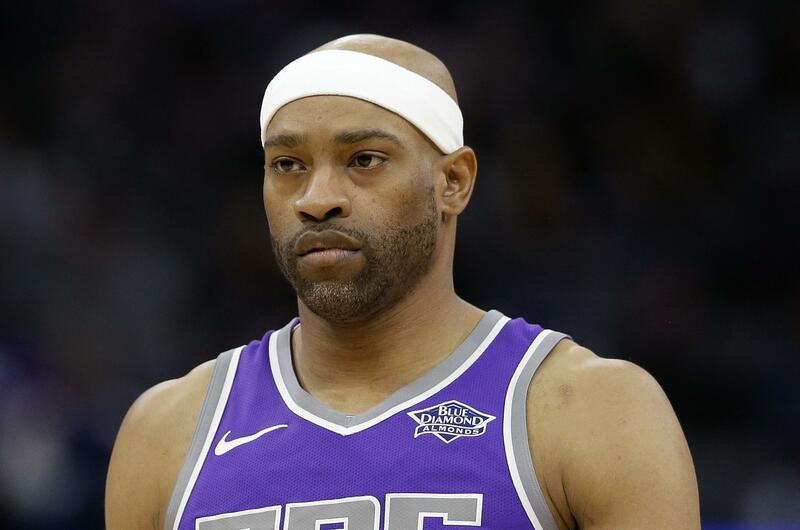 ATLANTA – Veteran Vince Carter is the latest addition to the new-look Atlanta Hawks. Carter was given the veteran’s minimum deal to provide veteran leadership on a rebuilding Atlanta squad entering its first season with coach Lloyd Pierce. Carter, the NBA’s oldest player, averaged 5.4 points and only 17.7 minutes per game while starting only five games last season with Sacramento. He will be entering his 21st season with his eighth team. He is an eight-time All-Star and has averaged 17.7 points for his career. Carter was named Rookie of the Year with Toronto in 1999. Following eight seasons with the Raptors, he was traded to New Jersey in 2004 and also has played for Orlando, Phoenix, Dallas, Memphis and the Kings. Carter joins an Atlanta roster that remains in transition following last week’s trade which sent guard Dennis Schroder and forward Mike Muscala to Oklahoma City. The Hawks acquired Carmelo Anthony, who will be waived, clearing the way for him to sign with another team. The Hawks have acquired point guard Jeremy Lin to work with Trae Young, the first of Atlanta’s three first-round picks. Atlanta drafted another guard, Kevin Huerter, and forward Omari Spellman in the first round. The Hawks finished last in the Eastern Conference last season. Last season’s top rookie, forward-center John Collins, and forward Taurean Prince also are keys to the rebuilding effort. Carter will join Kent Bazemore and Dwayne Dedmon as veteran leaders. Published: July 26, 2018, 5:23 p.m.